In today’s time, having both parents do full-time work is not unusual anymore. While this is highly beneficial for every family financial-wise, there are still many aspects in every home that are negatively affected with such kind of set-up. On top of the list would be the cleanliness. Often, there are 2 reasons why houses are left unclean – one is because mommy is tired to clean; and two is because mommy has no time to clean. Moreover, this cleaning problem doesn’t only stay at home. There are also many commercial cleaning companies dealing with cleaning dilemmas due to various reasons. The best way to help is to hire professional cleaners. There are many cleaning companies today that provide quality cleaning services Westminster. One of which is us – Top Cleaners Westminster. 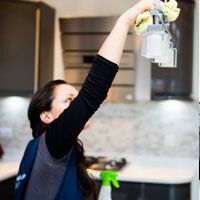 Operating for many years now, we have gained enough knowledge on how to handle different cleaning concerns which mainly vary on the family’s lifestyle or company’s operating schedule. Our company is composed of skilled cleaners whom we still train when they are hired just to ensure they can keep up with our standards, and knowledgeable bosses who know how to give importance to every person contributing to the company’s success. 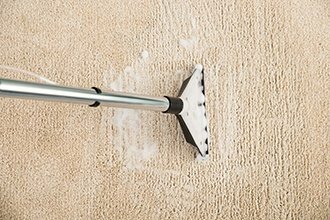 We clean because we’re passionate about it, not simply because we see that we’re earning. 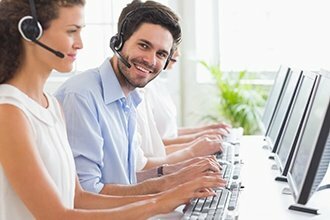 Despite the gratitude our company has been receiving for the past years, we continue to aim for 100% customer satisfaction. Choosing a corporation that will send you cleaners is not easy and trust plays a big role. With us, there’s nothing to worry about. We give our clients the guarantee on all aspects and we can deliver the results they want. As mentioned, our cleaning prices are very affordable, reasonable and competitive. We do not tolerate over-pricing and hidden costs. Moreover, we also ensure that we offer discounts every now and then to keep our clients fueled up; but what can our company offer? Mentioned above are only few of our long list of services that are performed only by well vetted cleaners. Should you want to know more, please give us a call on 020 3909 7649. I was very problematic with the company I’m running as it’s always dirty and messy. I considered hiring a team of cleaners and when I found your website online, I tried one of your services. I was very happy and ended up hiring your cleaners regularly! Thanks so much for the high quality service you applied on my small company. An abrupt schedule was made and I have no time to do all the cleaning at home. I was thinking of asking my kids to help but they’re all busy as well. My last choice was to hire a cleaning company and my cousin mentioned Top Cleaners Westminster. Thanks to her, our house is clean! Your company is indeed very professional and your output is simply amazing! Thank you so much, you saved my company! I was greeted by frantic news about a month ago that some clients will be visiting us that day. Our office was a mess and the conference room was no exception. I decided to call your company as you were suggested by one of our employees. Your workers didn’t fail me! Their cleaning output was just impeccable and to think your cleaning services are affordable, I can’t ask for more.